It would be such a fun job to get to name new species. The fact that we don't have more animals with ridiculous names is astounding to me. If I were in charge of naming animals, they'd all be called things like "Yellow Squish Face" or "Cutest Animal In The Whole World." Which, of course, is why I don't have that power. A group of researchers captured some unique footage of a rarely seen sea creature off the coast of Angola. 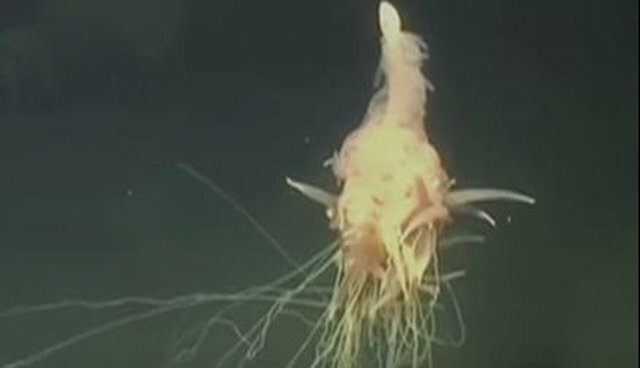 The creature was identified as being part of the species Bathyphysa conifera, a transparent sea creature with tentacles, but the people who discovered him had a WAY better name in mind. Spaghetti Monster. Or, the FLYING Spaghetti Monster, to be more exact. Genius. 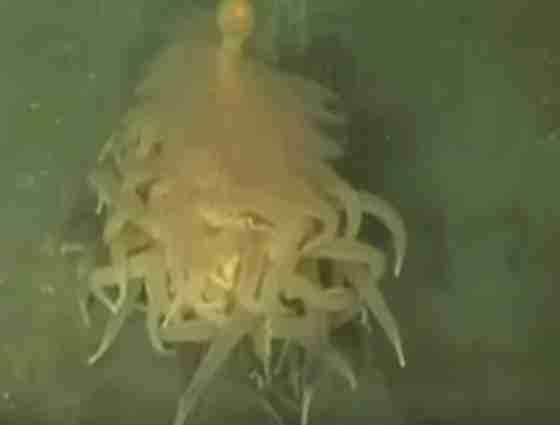 Relatives of this awesome creature include jellyfish and corals. While this footage is incredible, the most amazing part is probably the sense of humor of the researchers who found Mr. Spaghetti Monster. That's my kind of name for a new species.